Well, things have changed since the days of yore. Once strictly a workingman’s pastime, today’s DIYer is joined by “checkbook rodders” bankrolling custom builds from specialized shops that offer the whole panoply of skills and services. But, it’s all good—no gloom and doom here! 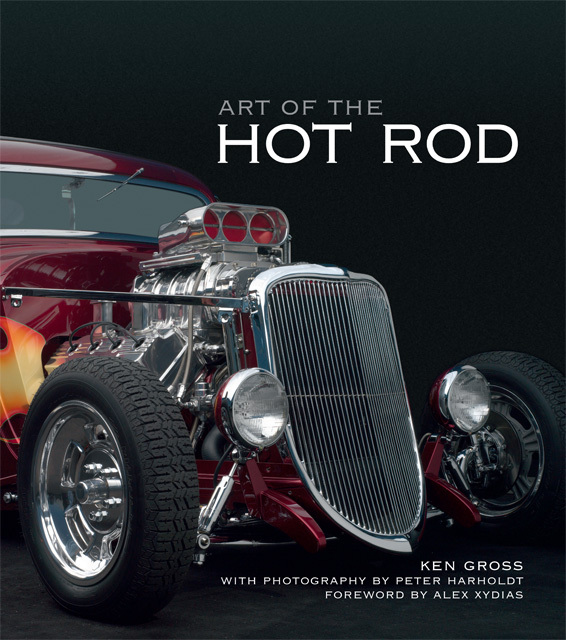 No less a pillar of the community than hot rod pioneer and So-Cal Speed Shop founder Alex Xydias expresses in a Foreword that succinctly makes the arc from then to now that he looks with respect, admiration even, upon the work done by the now second generation of craftsmen, builders, and artists. And it is the work, the process, the crafts and arts aspect that this clever book is about and what sets it apart. From its title alone you really wouldn’t know that it isn’t just another fluff book with glossy glamour shots of cars with flames on the side. They are here, to be sure, and very, very tasty they are—but the cars are almost secondary to the more universal themes of the story: creativity, originality, skill, passion, art (make that Art). Convictions too, and philosophy. 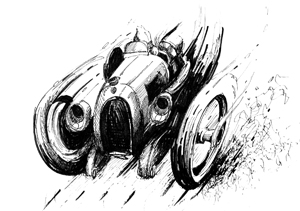 There is intelligence and sensibility here—not that this should surprise anyone, but a whole new segment of people who heretofore dismissed hot rods might gain a more profound appreciation through the pages of this book. Every field that has its own traditions, its own lingo, its own rules needs to draw back the curtain a bit in order to make itself accessible. 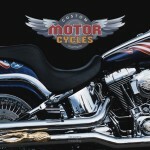 Connecting old to new and present to future, the book showcases 22 builders in 20 hot rod shops all over the US. They are arranged east to west in geographical order, sort of opposite to the original “migration.” From old-school to state-of-the art contemporary and from restoration to clean-sheet build, the whole range of styles is presented. Well, not the whole—there being hundreds of shops these days. Many labor in obscurity until per chance catapulted into the limelight, maybe by snagging one of the big awards—a Ridler or an AMBR (America’s Most Beautiful Roadster)—or finding themselves featured on a TV reality show. This book singled out those builders that not only rose to the top but stayed there. The photos dominate this large-format (11 x 12”) book, no doubt, but do take in the text with just as much attention. There is wit, insight, good writing in the words of author Ken Gross. An advertising/marketing man by trade he has written about cars, bikes and travel in all sorts of magazines and books and was Executive Director of the Petersen Automotive Museum in Los Angeles for five years. An obvious, but laden with implications, point he makes is that it was the common denominator of high school auto shop classes, often followed by mechanical training in the military, that gave young people the skill to basically build an entire car, only needing to farm out or barter for certain specialized tasks. Naturally the cars were simpler and cheaper but still, the times they are a-changin’. Photographer Peter Harholdt is a lifelong car enthusiast. His background in museum photography informs his automobile work in terms of “staging” (shooting them by themselves and against a black backdrop) and lighting. His work is of such quality and artistry that it has made him one of the top-shelf go-to guys for seriously sophisticated photos. It was the work on this book that led to the idea of his portable studio that, in turn, has become a key tool in his subsequent on-site work. Rather than shipping cars to and fro for photography or renting local studio space, Harholdt can now hitch up his 30 ft fully equipped trailer and haul his studio to wherever the cars are. 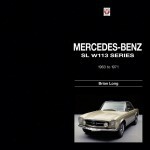 Of his several car books, this first one is the only one to explain the trailer concept and, so far, also the only one to contain introductory remarks by him. Here he says, “My goal is to make the photography (and the photographer) disappear. To make the objects seem to illuminate themselves. . . . To entice the viewer to touch the page.” And if it weren’t for the physical constraints of the printed page, primarily size, his photos do impart that impression of the viewer occupying same space as the object on display. But by making himself disappear by not writing notes or introductions to his work in his later books, he deprives the reader of an opportunity to see the considerable mind behind the photos! Also unlike his other car books, this one includes people portraiture—and if you have eyes to see you will perceive cleverness here too, an “eye” for the moment, the scene, the essence of the subject. A most excellent book, and oh-so cheap! Copyright 2010, Sabu Advani (speedreaders.info). 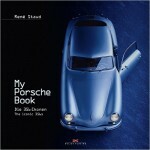 Yes, this was my first car book. The chapters are indeed in east/west order. I think Ken Gross did an excellent job selecting builders. As to the difference in lighting on p. 92/93, I think I must have raised the light bank for the top-down picture to reduce the contrast between the white upholstery and the green body. The light is usually just a foot or so above the car and is removed from the final image with Photo Shop.